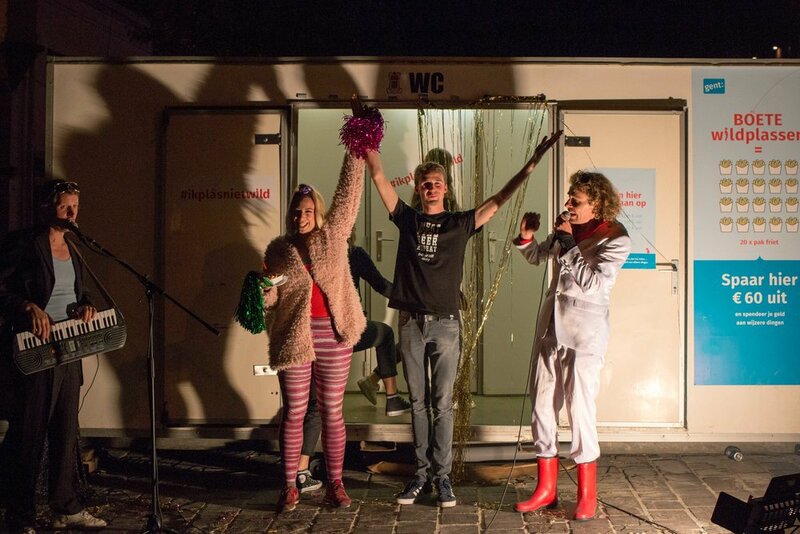 Students who opted to 'legally' urinate in the temporary portable toilet located on the Kramersplein on Wednesday evening, October 10, 2018, were rewarded for their actions. 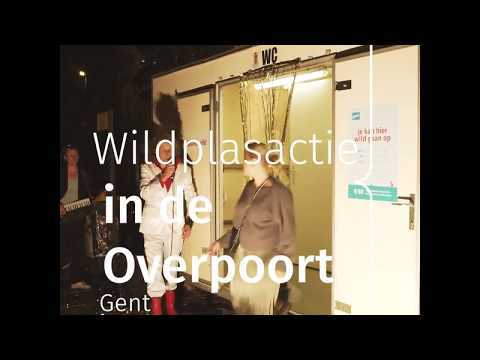 They were treated to a free pack of fries, distributed by 'the best toilet-lady of Ghent'. 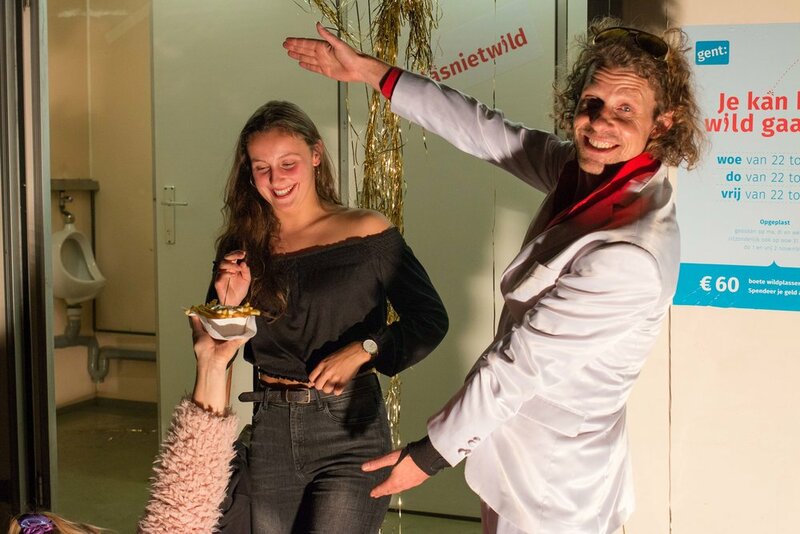 The fries are a nod to the playful prevention campaign to discourage public urination, which the City of Ghent launched on 20 September under the heading '1 fine for public urination is the same as 20 portions of fries'. 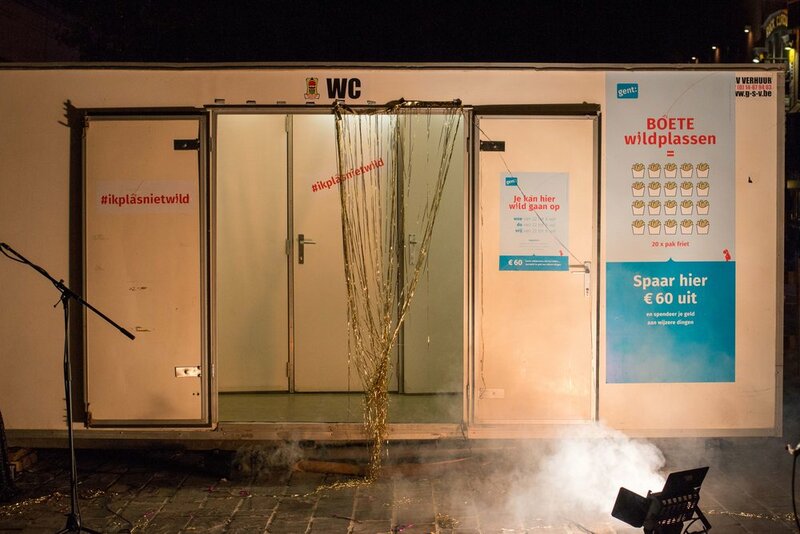 Public urination and broken glass have been a problem in the Overpoortstraat for some time. 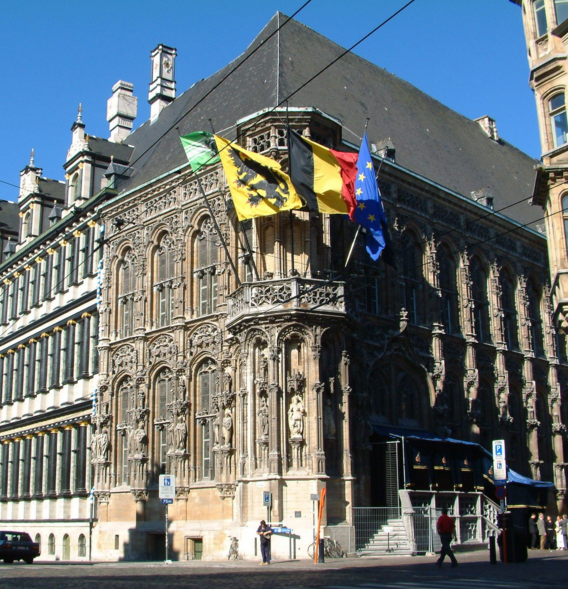 To reinforce the violations, the Safety Prevention Service of the City of Ghent rolled out two new campaigns. Students are encouraged to keep empty glasses off the streets and to use the public toilets facilities . 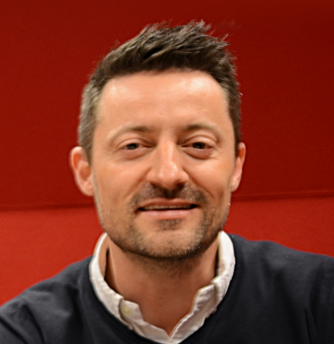 There is a GAS fine of 60 euros for people caught urinating in public. 'That adds up, spend your money on better things', according to the 'urgent message' of the campaign. 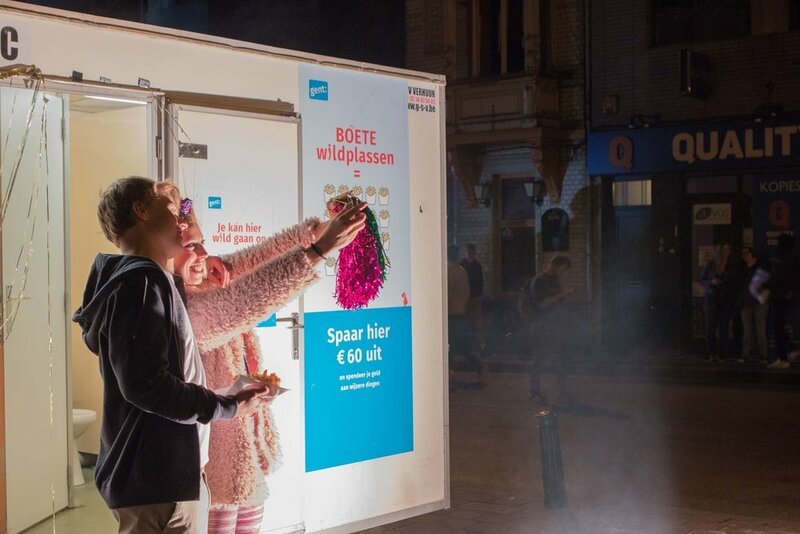 Until 15 November, strategically placed signs will be deployed in the Overpoortstraat, next to a temporary toilet container and two information pillars to encourage everyone to use the public toilets.